If police recently stopped you on Fairfax or La Brea for speeding and driving under the influence in Los Angeles, odds are that your plate is pretty full. You are probably not thinking too much about global or national issues. Rather, your focus (understandably) is on what you can do to protect your license, stay out of jail, avoid paying massive fines and fees, and avoiding seeing huge spikes on your driver’s insurance premiums. However, you might find it resourceful to take a step back and consider your DUI situation in a broader context. Most law enforcement agencies, judges, attorneys and public health and safety advocates hold certain fundamental beliefs about the dangers of DUI as well as what should be done to stop this problem. Some sound science supports these policy positions. But the nature of the discussion about DUI prevention, treatment and punishment is ultimately fluid, even if laws like California Vehicle Code Section 23152 and 23153 don’t radically shift over time. As our understanding of the science of DUI evolves, our laws, institutions and even culture should follow. But would they? Would solid evidence that we got certain “facts” about DUI change our minds? As a parallel case study, consider the current battle right now being waged in Washington D.C. over the future of the United States Dietary Guidelines. 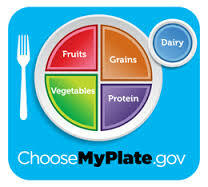 Every 5 years since 1980, the government has issued guidelines for what Americans should eat to be healthy and fit. This year’s process has been anything but smooth, leading to over 29,000 comments on the USDA’s feedback page and sparking a major public battle over the science of nutrition. Many high level politicians, scientists and even former members of the DGA Committee have argued that the process has gotten out of hand – that our guidelines are not based on sound evidence and that bias and industry interests are setting the agenda. Notably, the British Medical Journal – one of the most reputable medical journals in the world – issued a scathing analysis of the Dietary Guidelines Committee’s report – a report that typically forms the basis of policy. While we can’t tell what’s going to happen with respect to this year’s guidelines, there’s a big (if subtle) lesson here for DUI defendants. Just because an authority determines that XYZ is a “scientific fact” doesn’t mean that that person (or institution) is right. Subsequent science could come along to force refinement or even rejection of that initial position. And that’s all a roundabout way of explaining why it is so important for you, as a defendant, to work with an experienced Los Angeles DUI attorney, such as Michael Kraut of the Kraut Law Group.